I was going to start this with “one of my favorite spots on this trip…”, but then I realized that’s pretty much how I started most posts or at least think of most places on this trip – with the exception of Zion National Park of course. So now, how am I going to explain that I really like the desert? 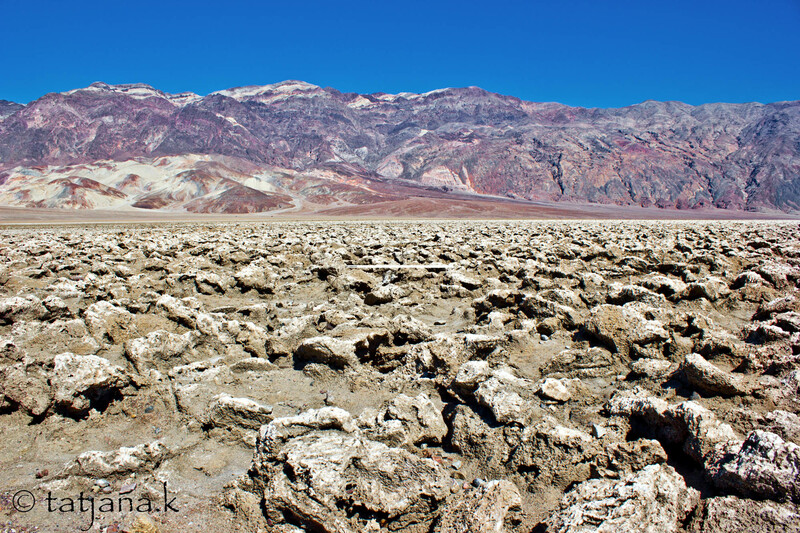 Death Valley is this vast open space that invites my imagination. The landscape looks like a painting. 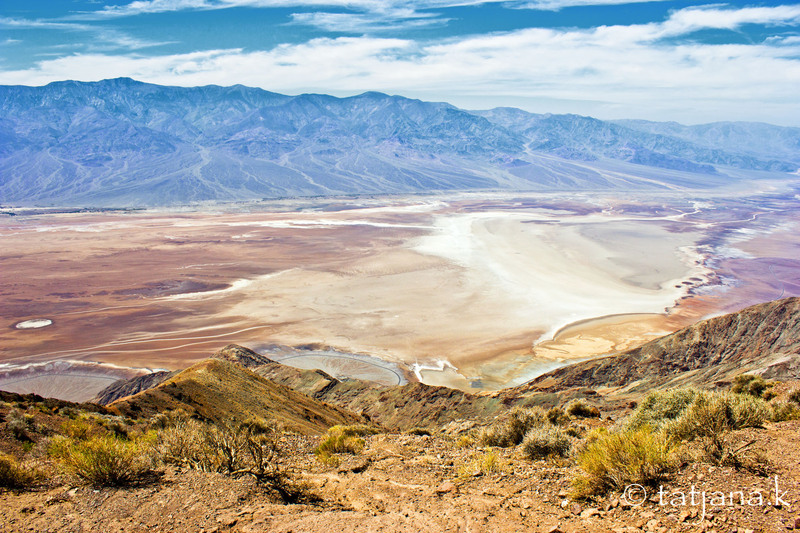 What you see down there is the Death Valley Basin and the Badwater Basin. 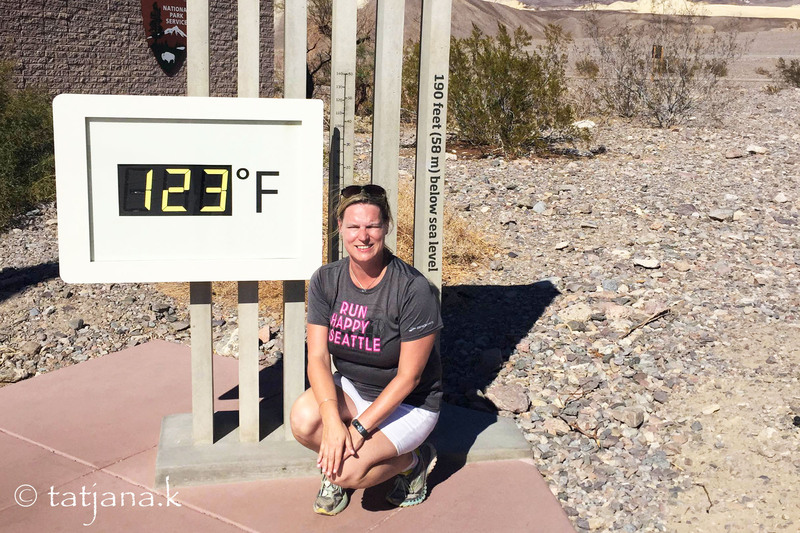 Every year the Badwater-135 race attracts runners from all over the world to run 135 miles across Death Valley in the peak of the summer. This is the terrain they cross. But we are not running. 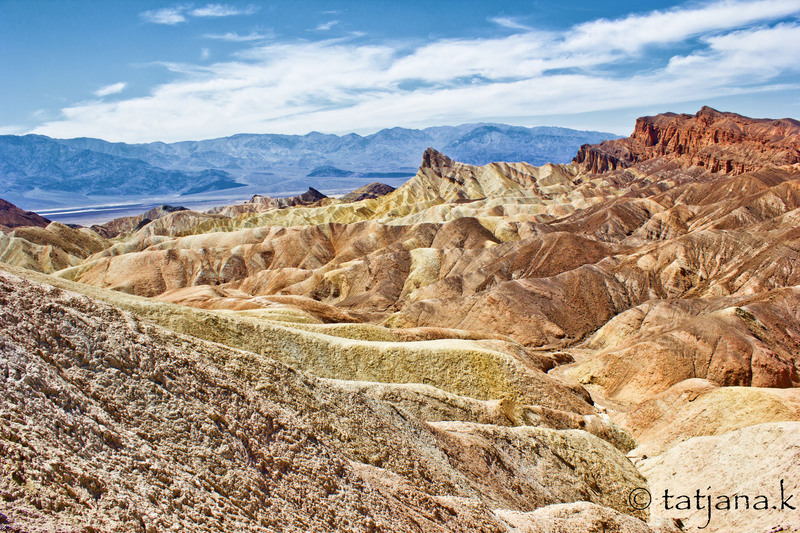 The desert shows remarkable colors, hardly anything I would imagine given the heat and barren land. 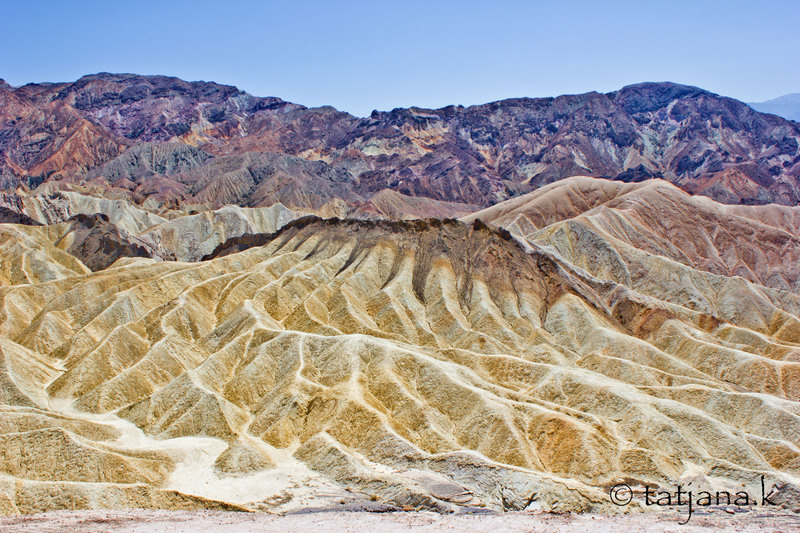 The sand and rocks come in all colors and form a landscape that – if I had painted it – no one would believe looks this vibrant. And playing golf would not be advised. 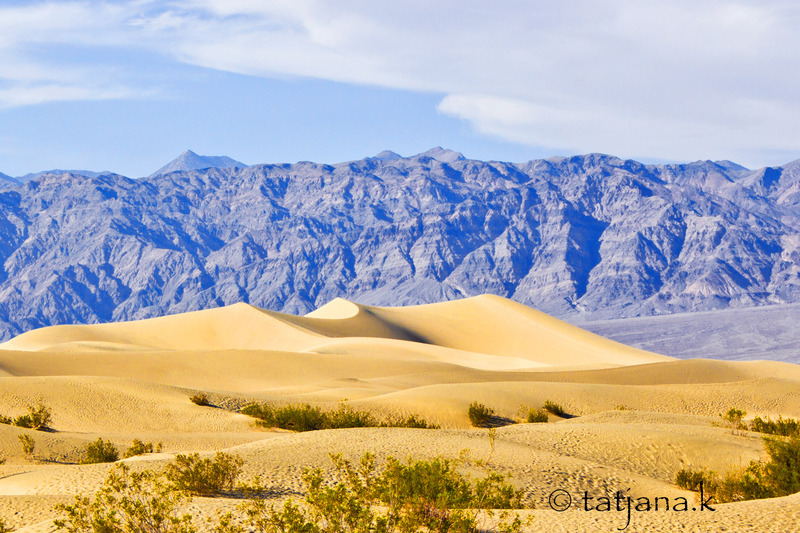 There is one part of Death Valley that reminds me of what I think a desert should look like: endless sand dunes, maybe some camels and a palm tree laden oasis. 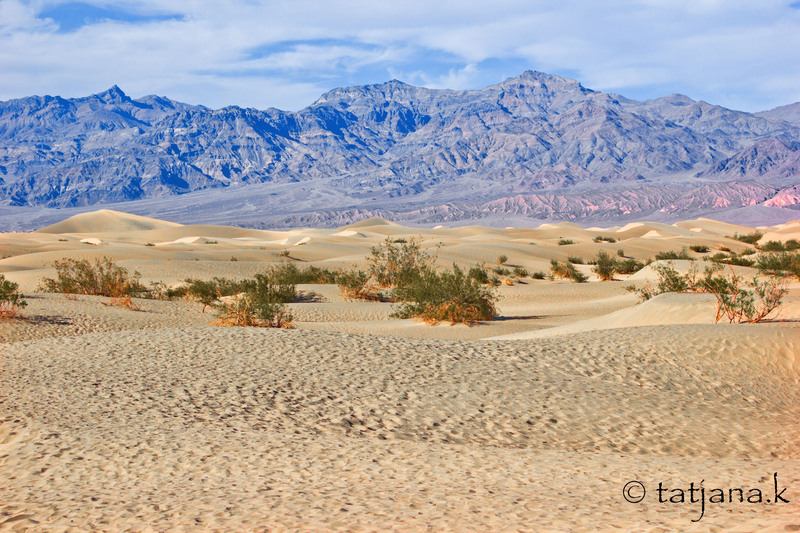 There are no camels nor palm tress, but the Mesquite Flat Sand Dunes come close to my childhood image of a desert. 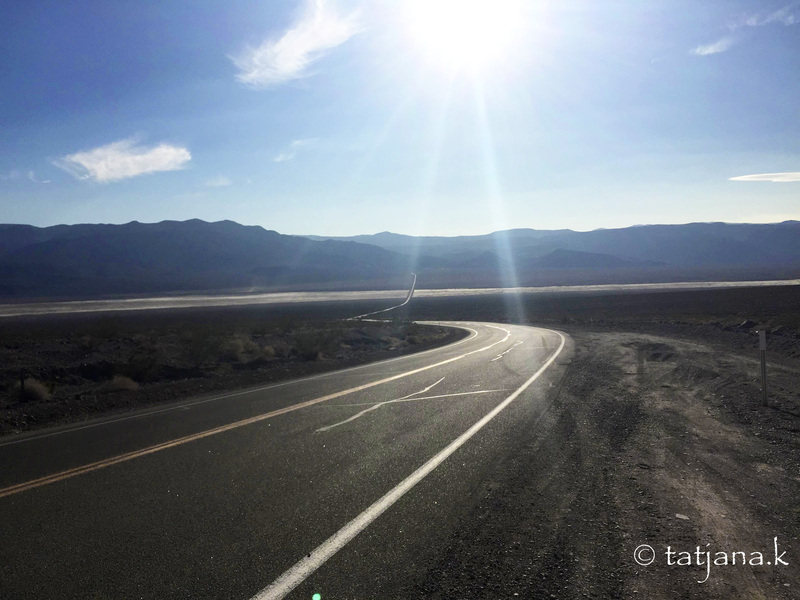 As we leave the unrelenting heat, we cross through the desert basin once more and I love this view of the unforgiving evening sun scorching down on the desert road and land. 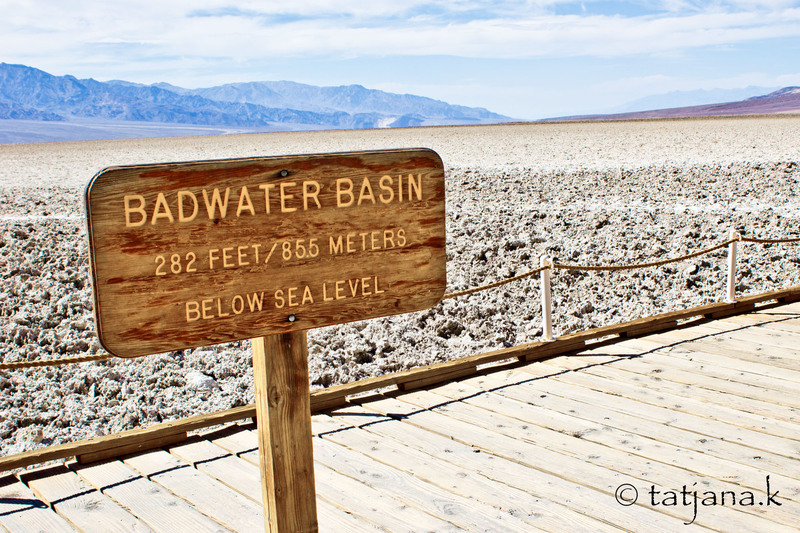 This entry was posted in Things to Do in NorCal, USA Travel and tagged #digiwrimo, badwater, dante's view, death valley, death valley basin, desert, Devil’s Golf Course, Mesquite Flat Sand Dunes, road trip, travel, Zabrieski Point.